City living is not very conducive to grocery shopping. But fortunately, there are so many apps, services, and shops offering great deals and convenience for city shoppers. With Amazon’s purchase of Whole Foods last year, prices have dropped significantly. Plus, Amazon Prime members will be able to get special savings, in-store benefits, and even free delivery available through Prime Pantry and Prime Now. IBOTTA offers cash back for scanning coupons and barcodes as well as using apps already on your phone like UBER and Amazon. There are also generous welcome and bonus offers – I made $50 within my first week. Use my referral code, ekrkjkc, and you can get a $10 welcome bonus. What I like about SavingStar is that you don’t have to think about it. Check off the items you are likely to purchase and link up your loyalty and frequent shopper cards from stores like Walmart, Target, and Acme and the rebates will automatically sync. 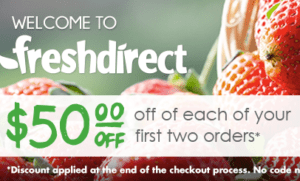 Thrive Market is a membership community that uses the power of direct buying to deliver the healthy food and natural products to its members at wholesale prices. Save on organic pantry items, personal care products, pet supplies, and more. Get 25% off your first order with my referral link. I’m obsessed with Hungry Harvest, a service that offers super-low-cost “rescued” produce, eggs, and more delivered straight to your door. Hungry Harvest offers produce and more that is deemed “unfit” for stores because they are misshapen, the wrong size, or any other imperfections that don’t actually affect the quality of the product. There’s even an organic share option and you can customize your box each week. Shoparoo is a free mobile app that lets you snap photos of receipts to earn automatic cash donations and sweepstakes entries for the school of your choice. Earn regardless of where you shop or what you buy – Shoparoo makes its money by collecting market research. Personally, they can have all my info they want – maybe I will help increase the demand for cheaper organic blueberries. This app offers deals on Organic, Gluten-Free, non-GMO, and Vegetarian foods. 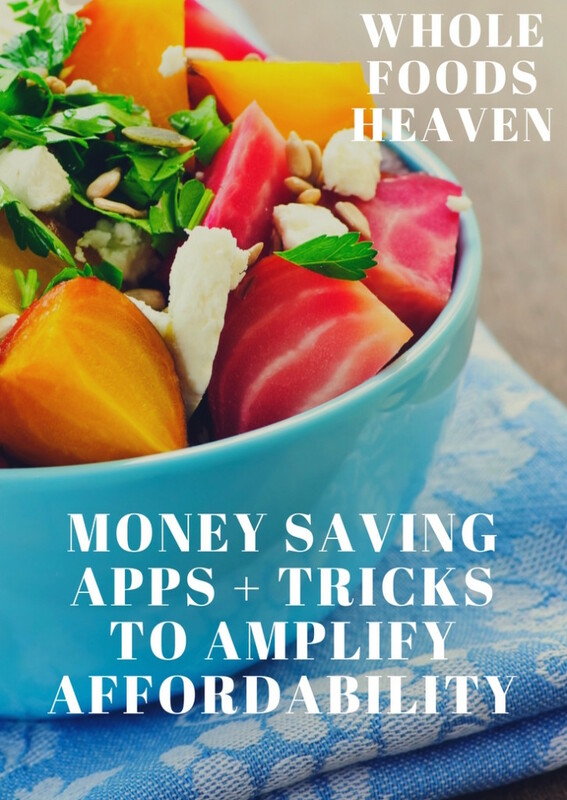 The downside is you really need a hard copy receipt to use it, but if you buy a few key things here and there you can make a few bucks! And though they break my heart every day with their excessive packaging, I still can’t quit FreshDirect. The mobile receipt rewards apps don’t always accept them, but they offer a few brand coupons and weekly freebies and discounts. If you haven’t tried them yet, you can get $25 bucks off! How are you shopping organic and healthy on a budget?